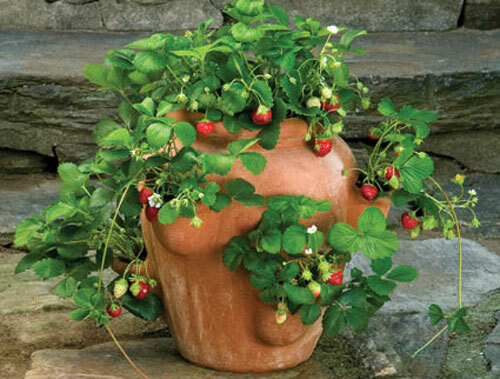 You don't need a lot of room for a strawberry patch when you use a terracotta clay strawberry jar to plant your patch in! 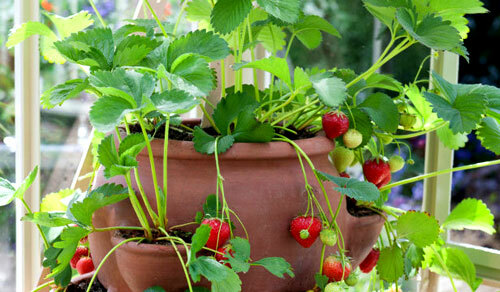 So very simple: just purchase a few strawberry plants and add some earth, air and water. Put all in a clay pot and viola, you will have edible garden pleasure for your patio or deck in less than 60 minutes. Try Ozark Beauty or Tribute for steady yields of large, plum berries. 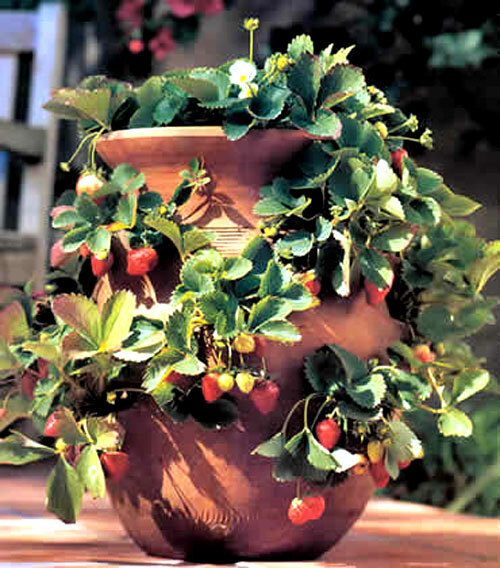 Purchase a pocket pot or strawberry pot. We sell them in terracotta clay with different number of pockets. 6, 9, 12 pockets all work fine but of course the 12 pocket will yield the most space and the most berries. Start by filling the bottom of the pot with gravel, pot filler, or broken pot shards. This separates the soil from the gravel and creates a better drainage system. Add potting soil and fill the jar with potting soil to eliminate trapped air spaces. 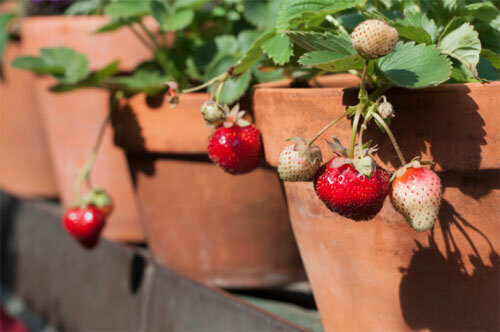 Starting with the lowest pocket, make a small hole in the soil and thread a single strawberry plant down into the pocket so it's roots spread toward the interior of the terracotta jar. Add more soil turning it with your fingers until you have reached the next pocket level. Repeat planting process until all pockets are filled. Leave space at the top for more plants. Container gardens dry out quickly, so water often, with plant food added. Moist soil and vitamins will keep your garden thriving. No extra maintenance is required except an occasional manicure. Pinch off dead leaves and overripe fruit to keep plants healthy and fresh looking. 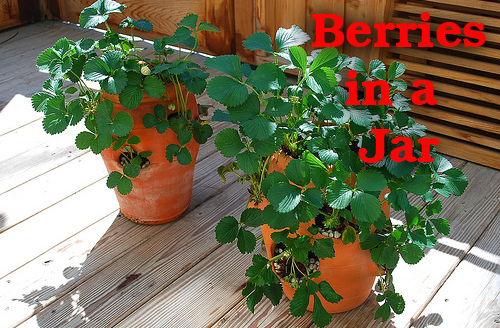 Rotate the jars one quarter turn every few days to give plants and berries enough sunlight! Try a plant caddie, we got em and they really are handy!